Protect your iPad in style with this iPad Case with Card Holder. The beauty of this case lies in its design. 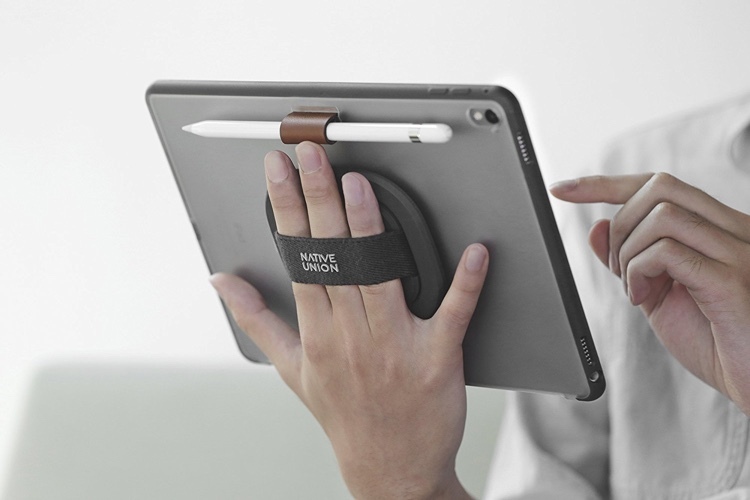 As a matter of fact, the case merges a simple iPad case with your everyday wallet. There are card slots to store your most important cards. With this case by your side, you can simply ditch your wallet and just carry this case around. Additionally, the case also keeps your iPad safe and looks great at the same time. 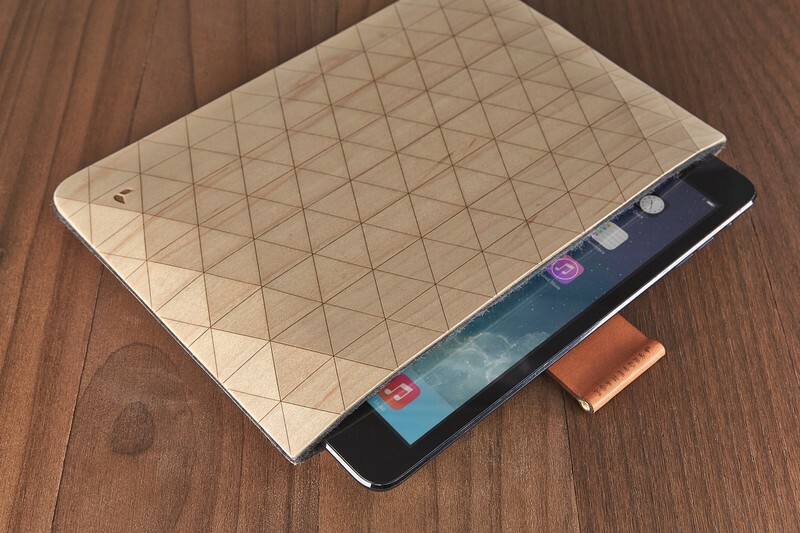 Who says tablet protection has to be ugly? 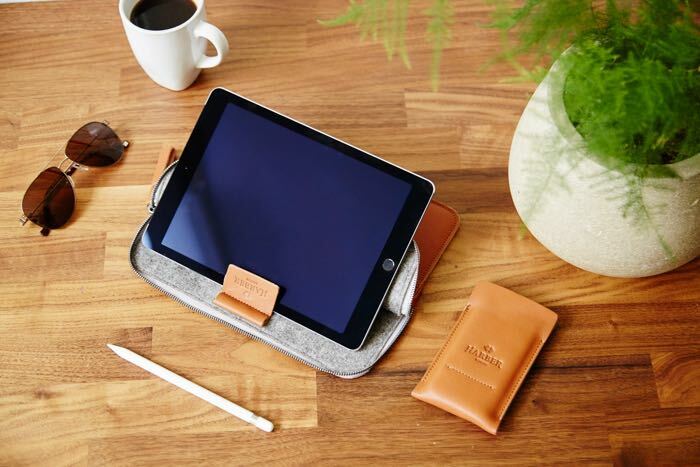 With the Dandy Leather iPad Pro Pouch from band&roll, you get all-over protection as well as elegant style. This classic sleeve features both wool felt and leather for a modern aesthetic. 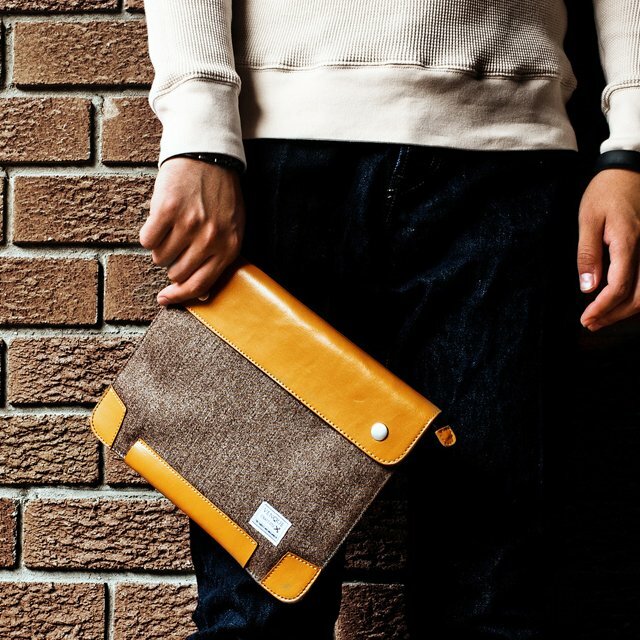 The Dandy Pouch uses the materials to best protect your iPad. The interior uses the super soft wool felt to keep your device from getting banged to bumped. 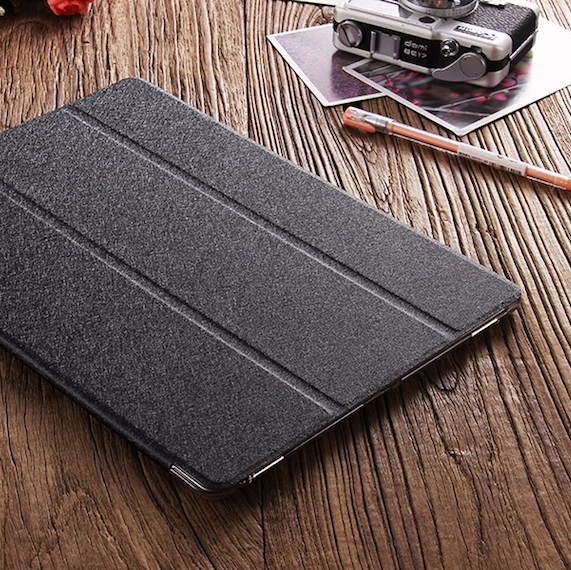 In addition, the wool felt will automatically clean debris and dirt from your iPad each time you slide it in and out. 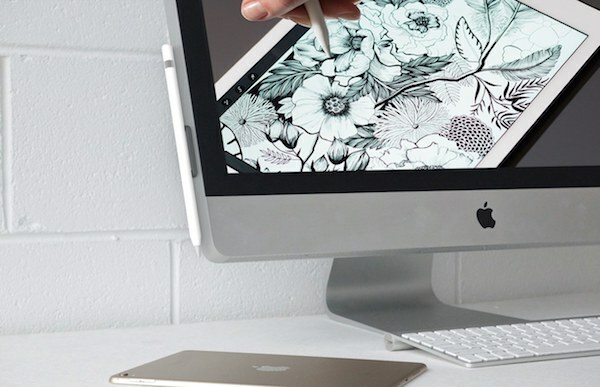 Keep your stylus always within reach with the Studio Proper Apple Pencil Dock. Simply attach the system to your Apple Pencil with the adhesive side and use the adhesive side of the dock to mount it anywhere. Then, you can magnetically attach your stylus to the dock whenever you need. 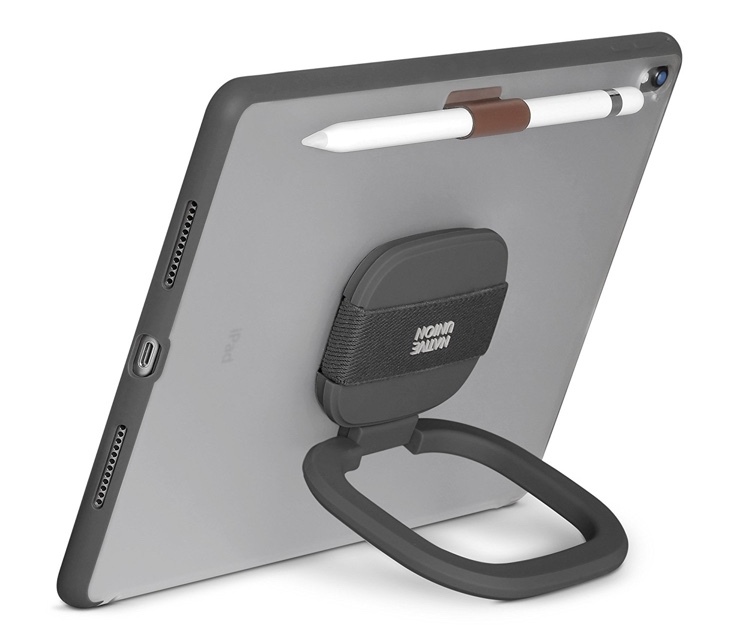 Because the Pencil Dock sticks to your stylus, you can mount it magnetically wherever is convenient. Give your iPad a slim pattern cover with the help of the Floveme iPad Pro case. The design will magnetically align with the device and gives it perfect protection without affecting any of its functions. 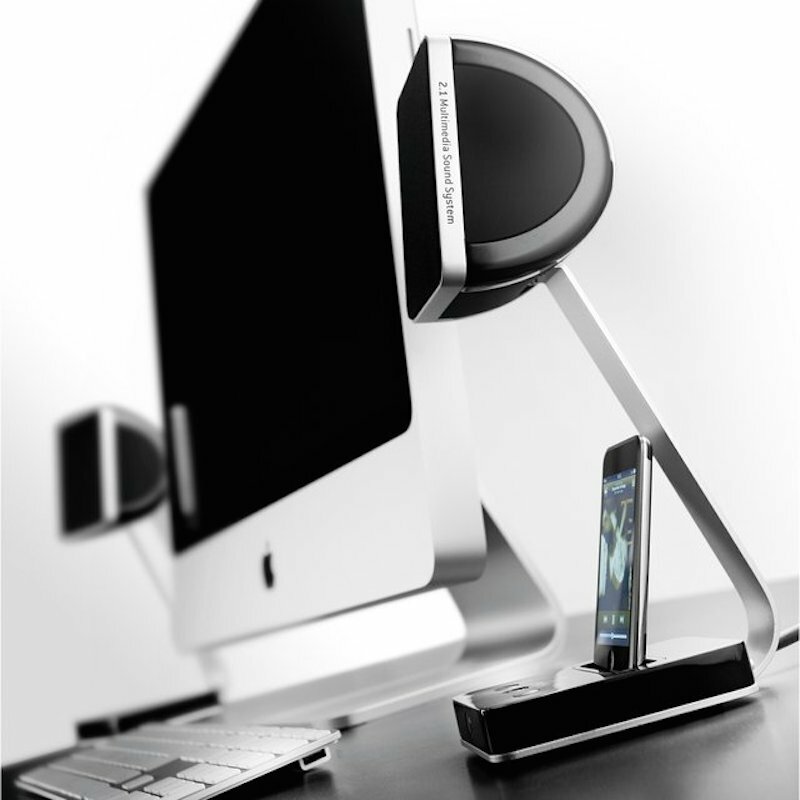 You can use it as a keyboard stand or as a FaceTime stand too. The easy-to-use construction offers a sleek and lightweight design altogether. The back case is made of hard PC material that gives you a tough feeling whenever you touch it. A unique design that allows easy access to all buttoms, controls and ports without having to remove the case. 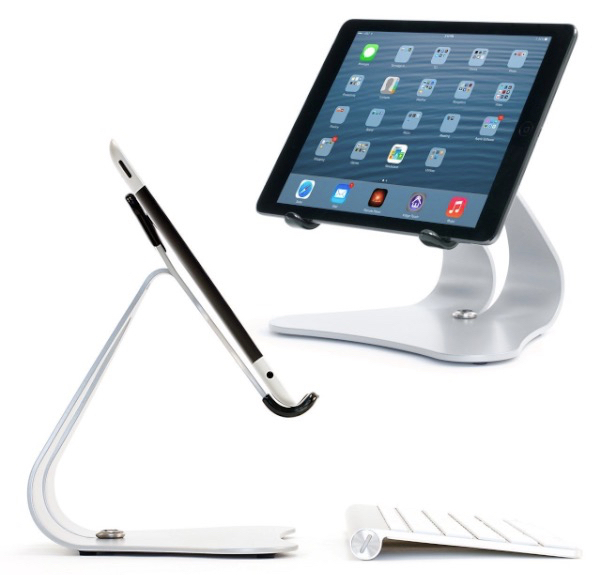 Compatible with the iPad Air, iPad Mini, iPhone (5 and 5S) and other devices less than 8mm thick and designed for use with the Apple Wireless Bluetooth Keyboard. Made 100% in the USA from lightweight recyclable aluminum. 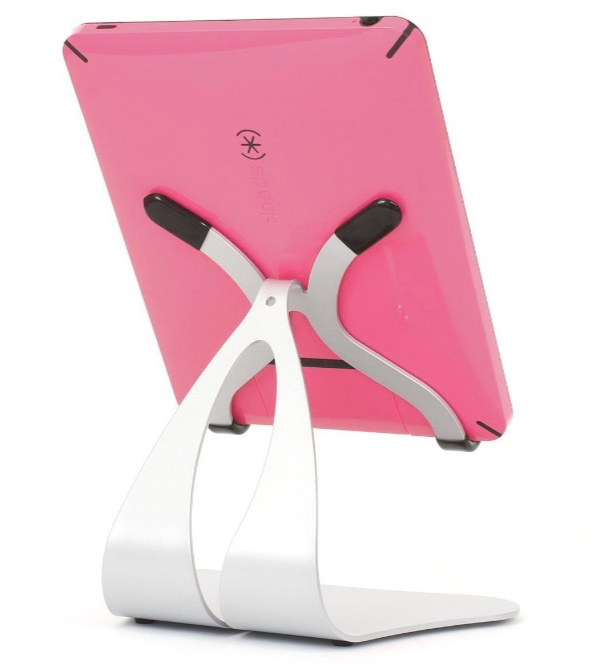 Provides two viewing angles and portrait or landscape device orientation. Available in multiple colors and comes with non-slip grips and travel bag. Colors: Matt Black (Special Ops), Gloss Black, Chrome & White, Chrome & Black, Hot Rod Blue, Bullseye Red, or Hardy Green. Time to pamper your iPads with this surfboard inspired iRad iPad Stand by Surf Life Designs that enhances the iconic style of your iPads to a great extent. 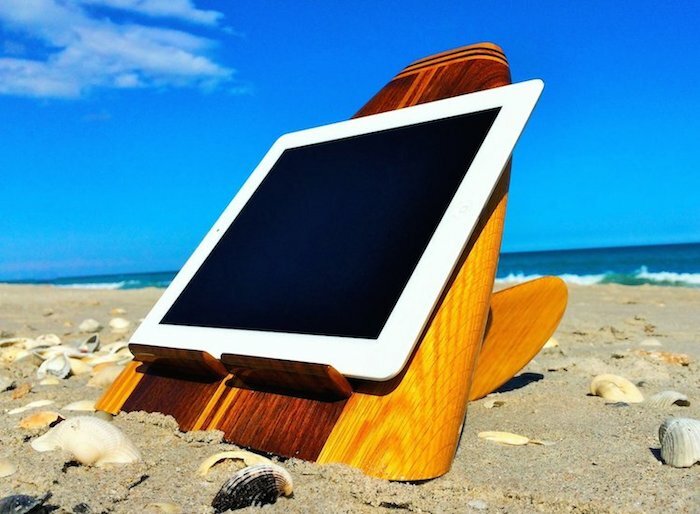 Made out of black walnut & hard maple wood with hard maple fins, this one stand is drop dead gorgeous in terms of the chic design and layout perfect for your beach outings with the iPad in hand. 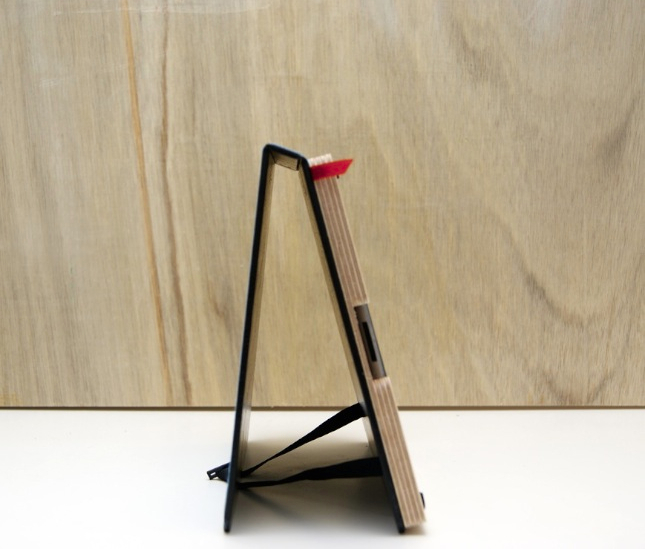 They are available in two styles of Single Fin and Three Fin, both of which look equally stylish as an iPad stand. Best Case for the iPad Air: Continuous and precise viewing angles. Perfect rear surface protection. Landscape or portrait orientation. Thin. 2.0 ounces. Stable on any surface. Compatible with the Apple Smart Cover and thin BT keyboard covers. Now on Kickstarter at $29 or $49 for two. 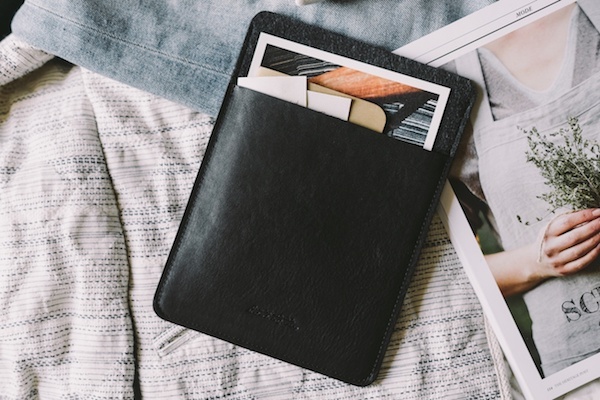 There are many options for an iPad case nowadays, but if you’re in the market for something truly unique, a hand-crafted iPad case will make all the difference. 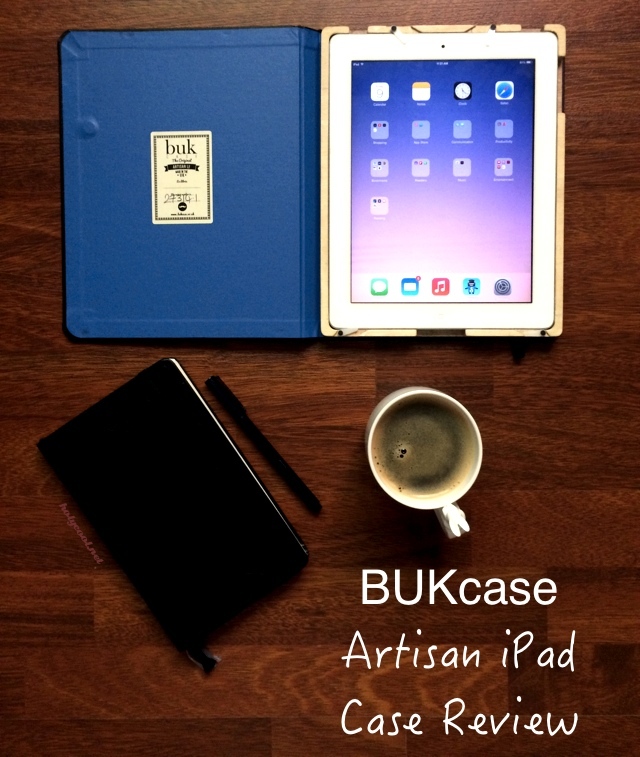 I have received this iPad case from the guys at BUKcase for this review. 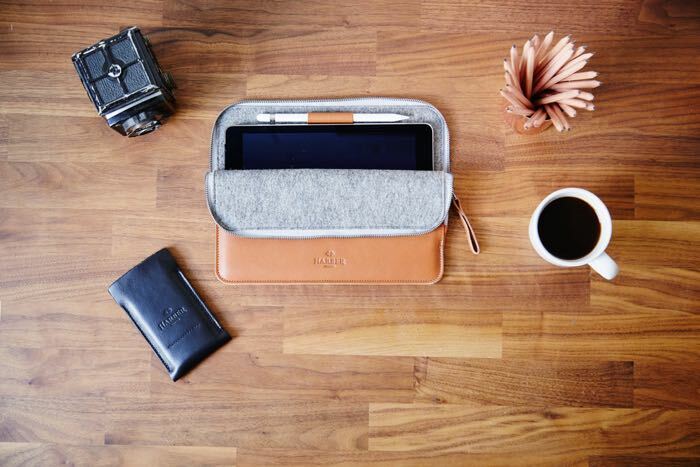 BUKcase is a British company that specializes in Artisan iPad, Amazon Kindle and some Smartphone cases made by a team of bookbinders from locally sources materials and traditional machinery. 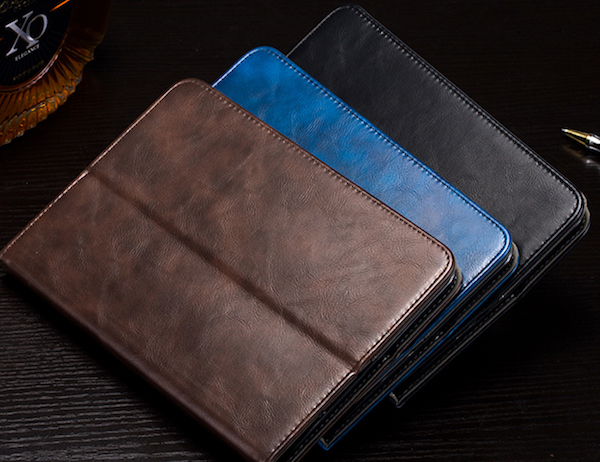 The result is a beautiful case that looks like a leather bound sketch book or notebook that is more unique than any plastic or felt case. As soon as you hold the BUKcase in your hand, you’ll know you’ve got something of exceptional quality, it is very well made. It is made of birch ply, which makes it quite light. The outside is covered with black vinyl, which looks a lot like leather, and the inside can be made with your choice of color (red, blue, grey or purple). The cover features a small magnet making in a smart cover, so your iPad turns on or off automatically whenever you open or close the cover. The frame where the iPad sits is made of wood as well, featuring gaps for the charging/sync cable, power button, volume buttons and the headphone jack. I found frame to be not entirely snug to fit the iPad (iPad 2 in my case), but the clips on top and bottom of the frame work well to lock the iPad in place. On the outside, and like a traditional leather bound notebook, an elastic band goes around the case which gives it a more authentic look and feel. Each case is hand-crafted per order and gets its own unique ID number which helps give you personal after-sale customer service if required. And if you’d like to make it more personal, you can request to have a name or an initial embossed on it. 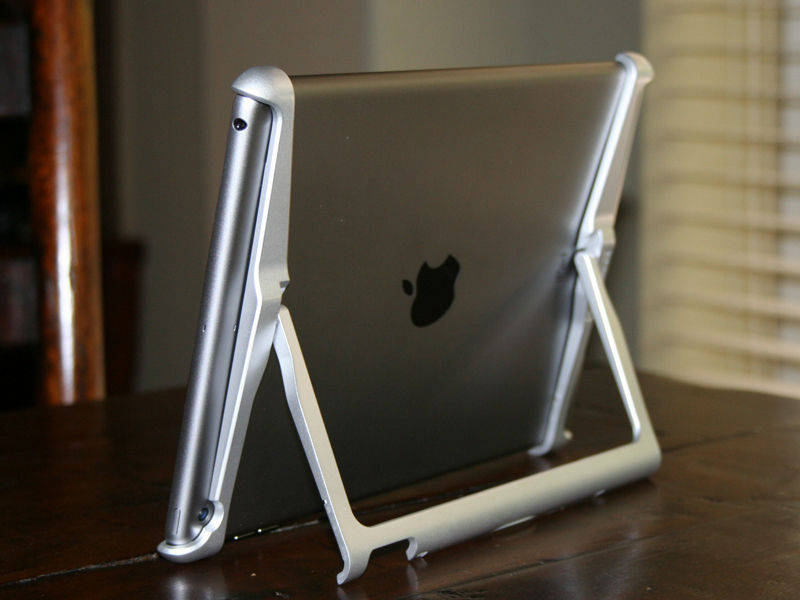 Is the BUKcase strong enough to protect your iPad? I’d say it is. Its solid construction should keep the iPad safe. I’ve been using it for around a week, I can’t say I put it under enough pressure to test how tough it really is, but it should endure normal use and abuse. Flipping the cover back makes for a nice stand, and the little clip on the elastic band makes sure it stays in place. This should make horizontal viewing nice and pleasant. I’m quite happy with BUKcase as an artisan piece of work. When closed, you’ll never guess it’s actually a case, it looks exactly like a notebook. It also has a distinct smell that is associated with leather good and vintage books, this adds much warmth to a rather cold gadget, which I absolutely love. If there’s one thing I’d like changed, I wish for the frame to be more snug to hold the iPad securely without the need for clips, I do find them a bit distracting. Otherwise, it’s a truly nice case to have. The case is available for many gadgets, the Original case, which I have reviewed here, can be purchased for £40/$68. Focal Professional’s XS Satellite Multimedia Sound System boosts up your conventional iPod docks with a 70W subwoofer and two 30W satellite speakers. It’s taken the simple concept of a dock and transformed it into a whole new world of audio system that was hardly seen before. 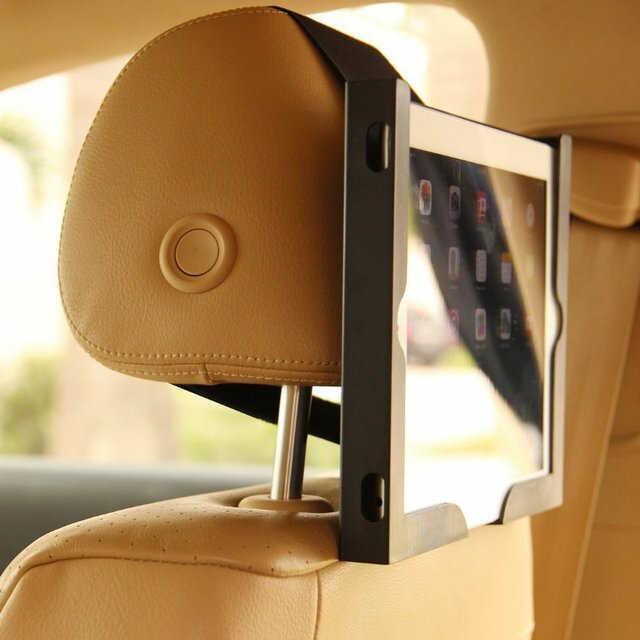 iPADKET’s innovative Headrest Tablet Holder ensures your backseat riders never face boredom during a long drive. With its’ easily detachable wide elastic strap and the drop-in pocket design, this tablet holder can promptly mount your iPads and secure them from any damage while you’re on the rough roads. 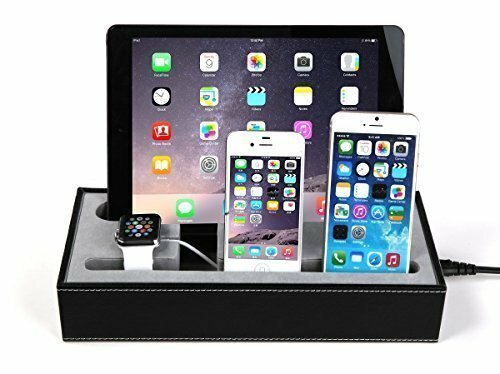 You can watch movies or play games or do whatsoever entertaining activities with your iPad mounted on this comfortably designed holder and never feel the stress during journeys.